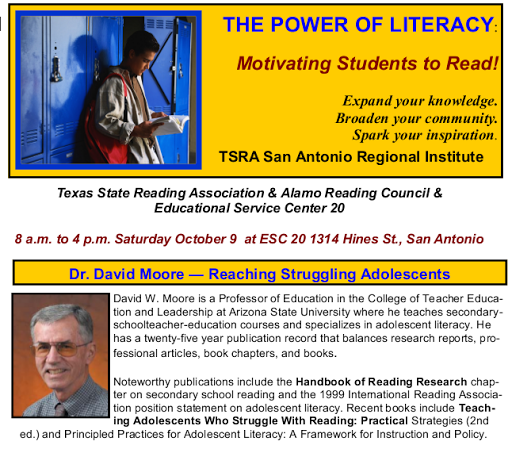 The Texas State Reading Association is hosting three regional reading institutes this Fall instead of the annual conference in November. The Reading Institutes have a full day of general session speakers, keynote speakers, and concurrent break-out sessions that will be second to none in quality for professional development. Go on line to www.tsra.us to register for the San Antonio regional institute or download the registration form to register by mail or fax.